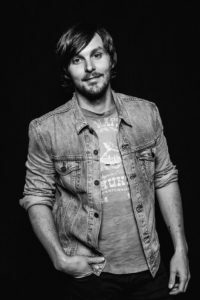 Charlie Worsham Interview: We chat on his latest UK tour! Charlie Worsham is just a likeable guy. He’s well loved by his peers in the country music, having toured with the likes of Tim McGraw and many more. He’s well loved in Nashville, his yearly ‘Every Damn Monday’ shows are a highlight of the summer. These days, he’s also well loved in the UK. Ever since hitting our shores for the first time for Country2Country in 2016, he’s been a firm fan favourite, with droves of people flocking to his every appearance on our shores since. His charismatic charm and honest storytelling lyrics make him the perfect artist to have an impact on our shores and that’s exactly what he’s done. On his latest UK tour he’s played some solo shows, supported Lee Ann Womack and will hit the stage at the inaugural The Long Road Festival. We caught up with him in Leeds as the tour was just getting underway. It’s the second night of the tour tonight. How was the first night? It was your birthday of course, happy belated birthday! It was awesome! It was a special night, there were a lot of familiar faces in the crowd, a few new ones, then you combine it with celebrating a birthday and it was great! How excited are you to be back over here in the UK? It’s my favourite place to play shows! I’m thrilled to be back, I’m thrilled to be playing some shows with Lee Ann Womack and I’m getting married in just under three weeks so I’ve got a general air of excitement about me! The UK crowds have really fallen in love with your music ever since that first C2C, haven’t they? Yeah, and me with them! My first experience performing here, I was singing songs that would eventually become a part of my second record and I’d never sung a lot of them in public before, I remember playing on a Thursday night at Indigo at C2C, then I played again the next day and people were singing along to the songs that I’d sung for the first time the night before! I know! It was so cool! I had it too before I ever got here with the song that was in the TV show Bones. I sort of woke up one morning and saw on my phone that I was on the iTunes charts here, it’s just such a special relationship and I’m so happy to get to come back again and again. Do you think as a songwriter it’s perhaps a slightly different environment playing shows here as opposed to back home? Oh it is! I don’t know of another place that has your typical audience bring so much pure attention directly to the stage, it’s a very present crowd. I feel like the crowd every night will go wherever I take them. I can play new songs, this trip I’m trying out a bunch of new songs yet again because it’s been such a great springboard for figuring out what songs people gravitate towards. So, yeah, there’s something to be said for the attention span! (Laughs) That’s a great start, a longer attention span! I was reading about how you’d had a bit of a hard time after releasing ‘Rubberband’ and maybe not getting the traction that you’d hoped, then you say that you came over here and got such a great reaction to the songs that would make ‘The Beginning of Things’. Was that kind of a relief? Yeah, there was some redemption in it! There was an injection of confidence back into my soul. It’s just been this great relationship that seems to get enriched every time that I come over. Absolutely. We’re about a year on from ‘The Beginning of Things’, I love the record, it’s so well crafted and honest. How are you feeling about the record a year on? You know, it’s funny, I learned after the release of Rubberband that you cannot waste time working on the next thing. It took four years to get to that record, part of that is that you get busy touring and things so I didn’t want to let that happen again, so I actually kind of compartmentalised the record in my brain. I’m super proud of the record and I always will be, but I’m already focused on new songs and what is next! Is that the kind of addiction within to keep creating? I think I’m addicted to learning and trying to get better. The other side of records like Rubberband is that it’s five years old, if you think about the songs on that record and when they were written then they’re closer to seven years old. I listen to Rubberband now and I’m still proud but I also cringe a little bit! Not in a bad way but I’ve also had five years of experience to add to who I was then as a singer and a player, as a writer, as someone who is a part of the record making process. The hope is that in three or four years’ time I’ll listen back to The Beginning of Things the same way and constantly be growing. I think the addiction is trying to get to the next level. That seems to be a big part of you, obviously you released a book, since the cycle of ‘The Beginning of Things’ you’ve become a world traveller. Do you think that’s changing your approach to songwriting? Absolutely! I think it’s a Mark Twain quote that’s ‘travel is fatal to ignorance’. Being an American right now, I wish that more Americans could travel around the world because I think we could all stand to learn about the fact that we’re all on this one planet and there are a lot of different cultures thriving in the world today who all have a different way of figuring out how to go about your day to day life and they’re all brilliant and beautiful and unique! I credit my Mom to my love of travel, she dragged us all over the place! I actually wrote a new song that I’m going to try tonight about her because I was better served having been to Europe half a dozen times! It’s interesting you talk about things in America, I know that a few of the singles have struggled to make traction on country radio. Over here, we don’t really have the radio thing, but the fans are picking it up and singing along. Do you ever find it a frustration back home? Oh sure! I think that it’s a constant thing to gauge and balance and wrestle with. What I will say though is that every time I get back in the ring with frustration I’m a little better at managing it. I still have a long way to go but the gift of my path right now, I still have that fire in my belly, I still believe that I’m going to sell out the Ryman and the Bridgestone and come over here and play Royal Albert Hall, I still believe that’s going to happen but I just believe that I’m on the scenic path to there. When I think about my heroes, especially folks like Vince Gill, they also had the scenic path and the gift of that is that when I am on those big stages and the spotlight is on me, I’ve got all this experience that has made me better and kinder and it will serve me in that moment. I don’t envy folks who come out of the gate with a hit like I used to. It’s a big burden to be handed because you’re instantly shouldered with the expectations, everything you release after the big hit is only going to disappoint unless it exceeds the big hit. That’s a lot of pressure that I don’t have to worry about, I’m just focused on being the best that I can be and better than I was yesterday. I guess if you wanted that number one bad enough then you could stick on a vest, a Stetson and sing about tailgates on a Friday night but I guess it wouldn’t have the same feeling and validity? (Laughs) That’s the thing, I think if you live by a trend you die by the trend. That to me is not a sustainable path. I respect anyone who is able to ring that bell and have a hit because it ain’t easy, no matter how you get it. I think, for me, it’s got to be genuine or it’ll do more harm than good. Do you sense a shift in the genre? I see a lot of folks like Brothers Osborne, Brent Cobb, Lucie Silvas and these people who are little more ‘rootsy’ making it bigger now, maybe Stapleton kicked something off? Oh he kicked the door down for a lot of us! I think it’s still shifting and we’re still watching to see how it’ll end up. I think if you look at any era in country, you’ll see it’s always been a part of our story. You can look back at any time and say “that’s the golden period, that’s classic country” but at the time, they might have actually been ruffling feathers. Especially if you look at Merle Haggard and Buck Owens, ‘Countrypolitan’ was rocking. You had these orchestral arrangements, very pop, very sweet and brilliant records too. If you think about the Patsy Cline records and the Chet era but Buck and Merle really threw a wrench in things, that was not the way things sounded at the time, of course now we listen back and point to that as the gold standard. It’s changing as it should. I guess it’s similar in every genre. In Britain we went through rock in the 60s with The Beatles and Stones, punk in the 80s, indie in the 90s. I guess it all comes back around? Do you ever find a draw towards writing about the political and social situation back home? If it’s on my chest then I think I have to write it out. The trick is that sometimes it’s just writing the song that serves the purpose and not necessarily that the song is supposed to live in the public domain. I do think there are two kinds of music, there is ‘forget music’ and there is ‘remember music’. Most of the music you hear on the radio is ‘forget music’, people work hard, they don’t have enough money in their pocket, they don’t have enough time off to get to see their family, they want three minutes of mental escape and there’s nothing wrong with that. ‘Remember music’ is also very important, you play Go Rest High On That Mountain at a funeral for a reason. It helps bring out those emotions that aren’t necessarily fun but are critical. I think that, if I were to write about everything going on now, it might be ‘remember music’ in a situation where ‘remember music’ isn’t exactly what we crave. I think Americans are really wanting to forget at the moment. We kind of need an escape. Moving back to the UK. The likes of Cadillac Three, Kip Moore and more have found a good foothold. With the radio being tough in the States, do you think the UK is becoming a second home really? It definitely feels like a second home! Kip and I have had a chance to hang out and talk about that, we toured together in Australia which is very similar. There’s just a level of gratitude that the audience brings to every show and it gives you more to work with. The better the crowd, the better the show and for folks that don’t necessarily fit into the box, once you get used to it, it’s a much fairer shake than watching heads down at phones. That’s not to say that crowds are universally the same in every place, you can get that in America too, I saw Jason Isbell at the Ryman and it was like being in the UK for me. Everybody is just trying to find their crowds but I think, for those left-of-centre folks in country, it’s over here more and more. There seems to be a real passion for it. Do you feel that? Dude, I get teary eyed in most shows! Last night I had to choke back emotion because it means the world. These songs that we write are putting our heart out there and when you know that people appreciate and respect it so deeply, I mean, it just tears you up. I just wish I could bring y’alls train system home! I love getting about by train! Is it just you and a guitar on the road? There must be another book on the horizon with all this adventuring? It is, just me, a guitar and a suitcase! I’m sure there will be another book, maybe not quite yet with the wedding planning and we just bought a house and are moving in, plus I’m writing songs ferociously! It may be a minute before the next book but I’m certainly living the material! You’re talking about writing new material, how long do you think it’ll be before we start to see that? Gosh, I’m scared to say a time! I can tell you that I look to put mental goals out there and my goal is to have the songs I need written by the end of the year then kick off the new year with ‘ok, we’ve got the songs. How do we want to capture it?’ That would be the ultimate! Ultimately, this is going to be my third swing of the bat. Warner still has my back but I know that I really need to bring home a win and a score. I feel sort of like the Boston Red Socks! If Warner is the baseball world, everyone is cheering for me but it’s been a minute since we had a world series! It’s interesting that you mention people cheering you on because you are immensely respected in Nashville and have been out on tour with so many huge artists. Having them in your corner must be a great feeling? Oh gosh, thanks. It keeps my going for sure. I don’t think I’m alone in that feeling, even though our city is expanding rapidly the music community is still pretty tight-knit. We lift each other up and sort of have this belief that all boats rise with the tide. It’s still competitive but we want to see each other win. I love your style of storytelling, you mentioned Jason Isbell and I think he’s kind of similar. Does that make it difficult when approaching an album? Do you have to be cynical to find a hit? I still don’t buy into the thought that you have to be cynical. I do think you have to be smart and realistic. You mentioned Stapleton earlier, I think about Brothers Osborne and Miranda, she’s put out one of the best records of that year and she didn’t get any airplay but she sold a lot of records. You can’t fault radio either, those are just men and women going to work, the radio is going to play what it needs to work for them. You can figure out a way to try and make it work for them without compromising who you are. It’s easier said than done but you don’t have to win just with the radio. If you’re Miranda or Eric, Brothers Osborne and Stapleton fit into this category as well, the radio will eventually bend to you. It’s not a matter of being cynical so much as making a hard decision as to whether you want to take the scenic path or shoot up. If you want to shoot up you probably do have to think of it a little bit cynically, probably not actually, honestly there’s a lot of folks who make music for radio but it’s honest to them. In the long term, I think it matters that it’s true to who you are and it doesn’t matter if it gets played or not. People are smarter than we give them credit for, they can tell when someone is being genuine. Yeah, I need to figure out how to do that to pay off my house!